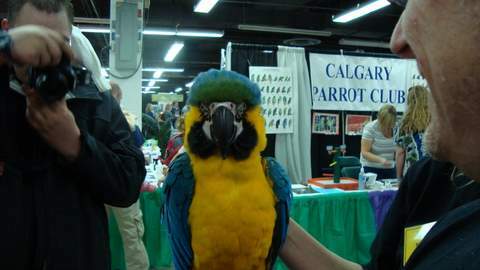 2009 Calgary Pet Expo – 1/2 hour till the public comes in. 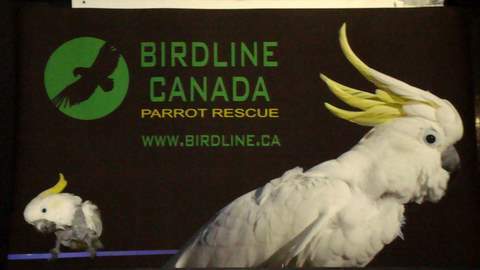 Our official banner showing our GSC when he arrived to us and how he looked one year later – his story opened the eyes of many people who wanted cockatoos as pets and have now decided that this is NOT the pet for them. 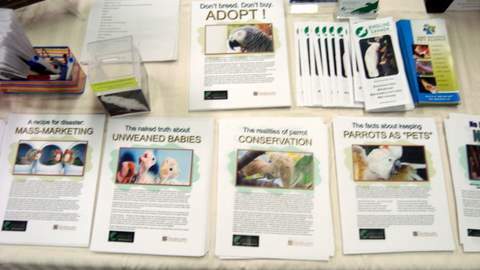 Some of the flyers and handouts we were giving to the public in hopes of educating them on the “real” issues concerning captive bred parrots/petstores etc. 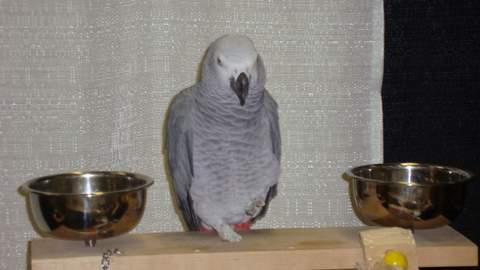 Kaylan the toeless grey – he sat this way most of the time for both days, he did amazing and seemed to really love the attention. We have SIX pending applications to adopt him! 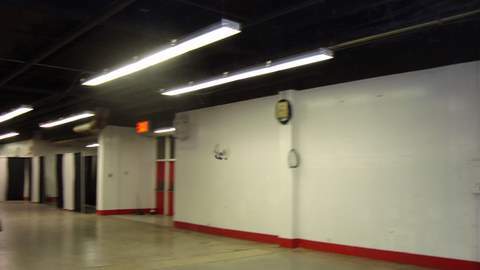 This pigeon was flying through the building attracting alot of attention – many people came over and told us that our “bird” is flying loose – thinking it was Kaylan. 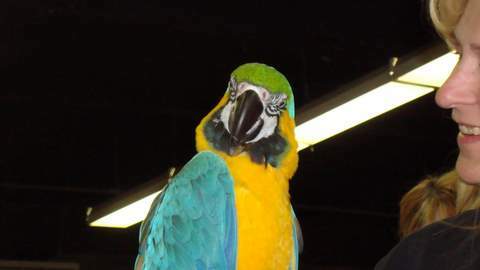 Seymore the beakless Quaker Parrot was a huge hit, he attracted many people over as they asked how he lost his beak – when we explained how it happened – it became a lesson in safety and unpredictability in ALL parrot species – he is NOT for adoption, but we DO know of a quaker needing a home located just outside Calgary. 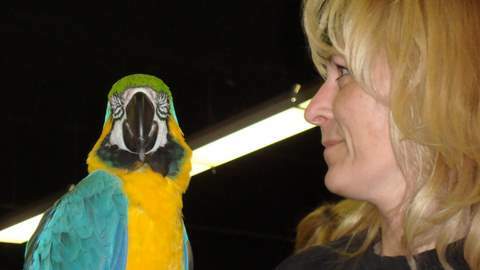 This is “Jasper” an 8 year old Blue and Gold Macaw that we were fortunate to meet – a beautiful bird with impeccable manners – this was my first time ever holding one and I was truly in awe of his beauty. 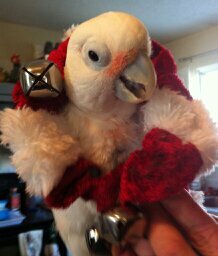 Birdline Canada wishes to Thank everyone for their donations and for purchasing our toys. 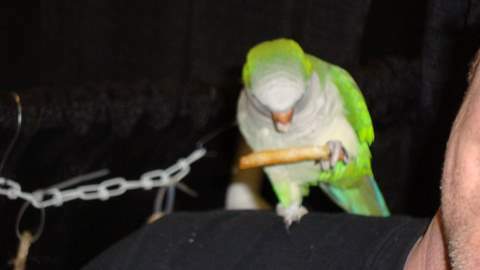 All proceeds go towards the vet bills for the parrots in our care – this includes the ones who are in foster homes until they are adopted – every single penny makes a huge difference as we run soley on the the generous donations of others and what we ourselves provide. 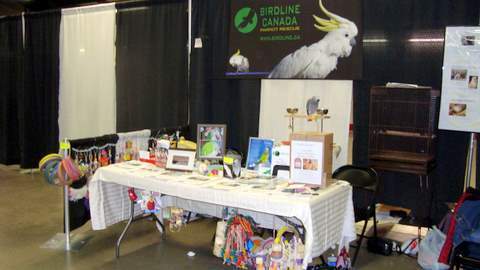 Attending the Expo was an opportunity for Birdline to let others know that there IS help available out there for whatever the need may be – whether its supportive/educational/surrendering a bird or just being there to listen. 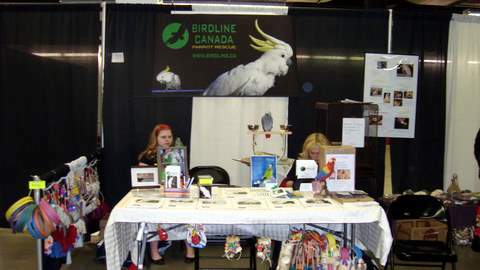 We met alot of great people and many who want to learn how to foster for Birdline and many who are interested in adopting a parrot in need – we look forward to your emails and meeting with you all over the course of the coming months. 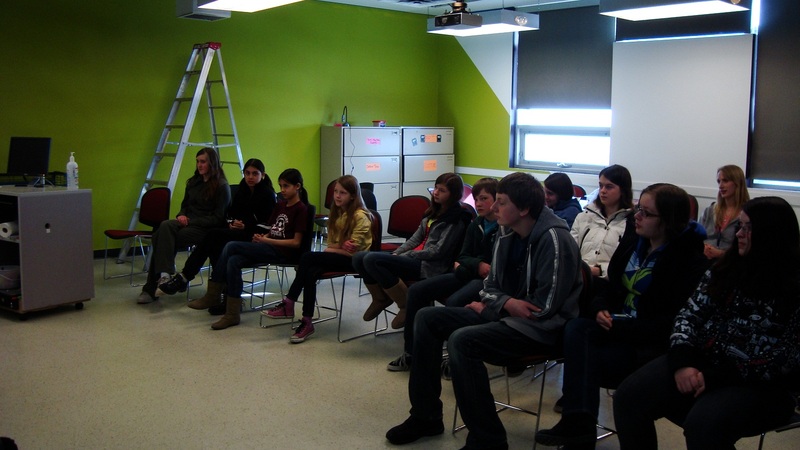 It was a great experience and we did raise approximately 330.00. 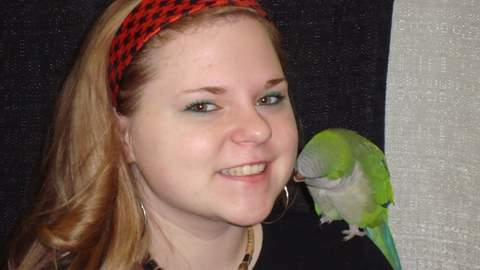 We look forward to attending the 2010 Pet Expo and hope to see many of you there again. We would like to congratulate the following door prize winners of 1 $25 Gift Card to Coco Brooks Pizza! Click Here to visit Coco Brooks, the home of the best pizza in Calgary! The following winners will receive their gift card in the mail within the week. December 24, 2013 Anna Comments Off on Merry Christmas!! !